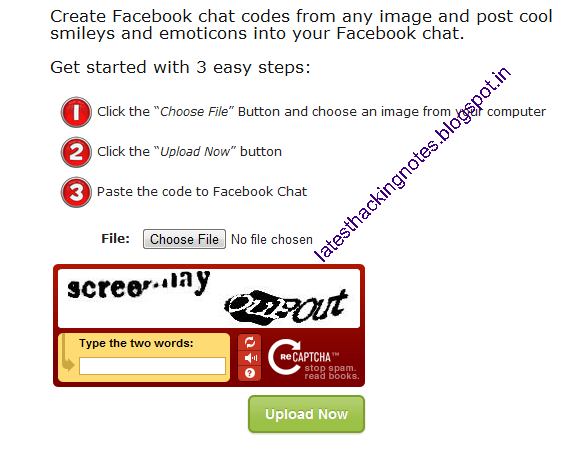 In my last post on facebook emoticons BEST FACEBOOK CHAT EMOTICONS TO AMAZE YOUR FRIENDS I mentioned some codes for sending emoticons while chatting in facebook. First you need image on your computer which you want to send .Then go to this website http://smileyti.me and upload your image there. Click on choose file ,then fill the capcha and click on upload now.Wait for sometime and it will generate a code for your image. 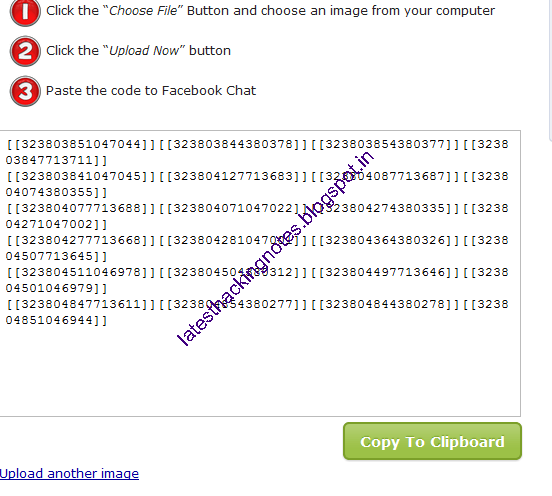 Copy the generated code and put it in facebook chat window and the image will appear to your friend.For getting the code of another image follow the same procedure.